As a body psychotherapist I understand that whatever difficulties you are facing will be affecting the whole of you, physically as well as emotionally. Issues may be complex and need longer and more in depth work than can be addressed in short term counselling. This is especially the case if events, experiences and relationships from the past are impinging, confusing and impacting your quality of life and relationships in the present. All our feelings are felt and experienced in the body and we cannot separate body heart mind. You may be experiencing physical symptoms e.g. All of this will be affecting you as a whole person, physically as well as emotionally, affecting capacity for intimacy and relationship. Our bodies mirror our minds and our minds mirror our bodies . As a body psychotherapist I am particularly interested in how issues affect body heart mind, and will want to invite curiosity into how emotional states e.g. anxiety, irritation, anger, sadness have echoes in the body and how sometimes these are at odds with how we behave e.g. we may put on a brave 'smiling' face but inside we are weeping. At times, I will invite you to pay attention to body sensations, breath, posture, contraction, tension, pain, and encourage an increase of awareness and consciousness. Our bodies can speak our hearts and minds. Recurrent headaches, migraine, body pain and digestive problems can all be significant ways the body is communicating to us in ways which we cannot necessarily articulate in words. You may have unexplained symptoms e.g. numbness, shaking, chronic pain, illness, affected sleep, appetite, dreams and / or disturbing emotional states e.g. eruptions of anger or feelings of despair and hopelessness. These can all be residue of traumas held in the body. I will always seek to see and work with you as a whole person and adopt a holistic approach, recognising that we are all complex multi-faceted and multi-dimensional beings. The relationship between body heart mind is no less complex and it is important to say that the work may well therefore be a slow unfolding over time. An integrative approach means I am able to incorporate different ways of working according to your particular needs as an individual. From my training I am able to integrate the humanistic approaches of e.g. 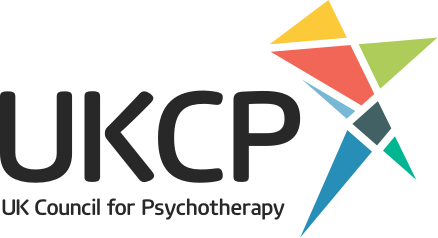 person centred, gestalt, and body psychotherapy with object relations, attachment theory, relational psychoanalysis and a psychodynamic approach. I may also incorporate mindfulness, visualisation, creative expression and on occasion outdoor work in nature. I aim to attune to you and your needs and to explore with you what feels most helpful. My approach is to be adaptable, versatile and flexible. It may be you are struggling in your current relationships. There may be issues of power or control or conflict which are hard to manage. You may find you habitually push away those you love, find it hard to be vulnerable or share your feelings with another. You may find yourself feeling insecure and this may express itself in different ways. You may find it hard to get your needs met. You may recognise repeating patterns from the past in your current relationships which are causing you problems. This can all lead to dissatisfaction and despair. In both counselling and psychotherapy the relationship between us is key to the process of the work. In longer term and more in depth psychotherapy this takes on an additional significance and can itself become a vehicle of insight as past patterns get repeated and come to light in a new way. My approach will be to invite us with mindful and mutual respect to always bear in mind the therapeutic significance of our relationship and the relational dynamics that emerge between us, giving time on occasion to reflect upon this together as a further resource for insight healing and integration. We will work at a pace and in a way that is attuned to you as an individual. I offer a warm, compassionate, professional and safe space, and am very willing to listen to whatever is troubling you and to see if we can find a way forward together. HOW WILL IT WORK IN A SESSION? Normally we would work by sitting and talking in chairs, as you might expect. This is most likely how we would begin for the first few weeks as we come to know each other. As we talk I may at times encourage body awareness (e.g. noticing tight stomach, or lump in throat), or sensations of breathing ( e.g. shallow or deep), awareness of body posture (e.g. foot tapping, or arms folded) , at times encouraging e.g. feet on the ground or even standing or walking around if it helps when things feel stuck. After some time of working together, and if it feels comfortable for you to work with visualisation or body awareness, I may invite you to try lying down as this can invite a deeper opening to the unconscious. All this would be explained, discussed and decided between us and entirely your choice. Any work between us involving physical contact would be discussed and negotiated and require your consent. This might be an invitation from me to e.g. support your back, or hold your feet. It may not be clear when you set out what it is you are exactly looking for. My approach would be to listen and work with you collaboratively to explore and clarify what you hope for. After an initial telephone conversation the most important thing would be to meet and see if there is a connection between us and if we both feel this then we can proceed from there. You need to find someone who you feel safe and comfortable with and this is a very personal decision. I will also want to feel that there is sufficient connection between us for there to be potential in the work and to feel assured that I have the necessary skills and competence to offer, given your situation.